Yet, as much as you and I would like to shut the chaos, confusion, and cattiness out of our lives, drama has a way of creeping into our lives anyway. Our upbringing, personality, and baggage from past wounds can trigger dramatic reactions to varying degrees, especially if we are unaware of our vulnerabilities and what we are capable of. 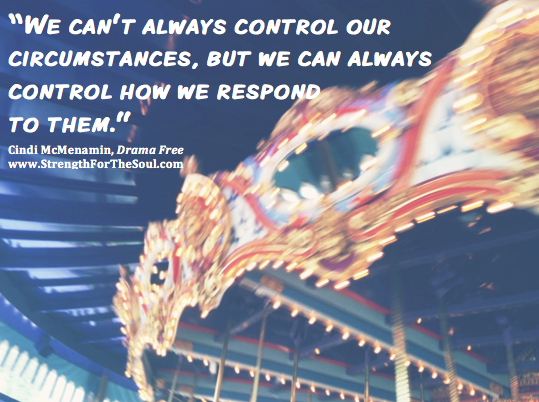 You and I can’t control our circumstances but we can always control how we respond to them. As we learn to maturely respond – rather than emotionally react – to what life brings us so, we can dial down the drama, diffuse it, or eliminate it altogether. Life – and therefore every circumstance you encounter – is meant to conform you to the image of Christ (Romans 8:28-29). Once you consider this, you can relax and realize God knows what He’s doing in what He’s allowing. He’s often showing you something about yourself and your relationship with Him. Be teachable by considering what He wants to teach you in the moment. When you consider the bigger picture you can focus on passing the test, rather than failing it through unnecessary drama. In 2 Corinthians 10:5 we are instructed to take our thoughts captive to the obedience of Christ because we are in a spiritual war in which the enemy will do his best to run rampant through our thought life, creating doubt, fear, and confusion. To take our thoughts captive to the obedience of Christ means capturing or binding them with the truth of God’s Word. 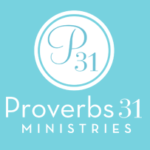 Instead of entertaining a loose thought like “I can’t get through this situation” capture that thought with the truth of God’s Word: “I can do all things through Christ who strengthens me” (Philippians 4:13). The more you know of God’s Word, the better you will be able to tame your reckless, wild thoughts. When you begin to feel overwhelmed by a situation ask yourself What am I believing about God that isn’t true? Then focus on the facts about God not your feelings about what might or might not be happening. When we know Who God is and what He is capable of, our worries, fears, and freak-outs can be stilled. For more on how to dial down the drama in your life, see my newest book, Drama Free, now available in my website store and soon anywhere you buy books! How to be a Drama Mama -- in a GOOD way! on 3 Simple Steps to Dial Down the Drama in Your Life. May GOD bless you with such message for me. Thank you. Thank you Cindi! Really need this message right now! Thank you for keeping me focused On God !